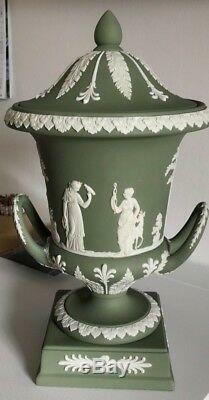 VERY RARE LARGE WEDGWOOD JASPERWARE CAMPANA URN WITH LID SAGE GREEN PERFECT. 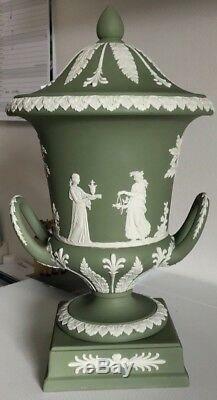 This is such a rare find from Wedgwood in the jasperware range and a stunning piece. 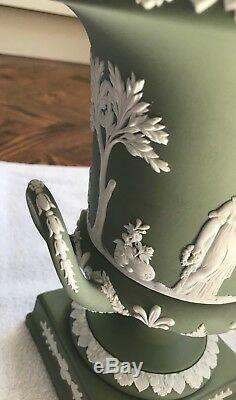 It is white on sage green. 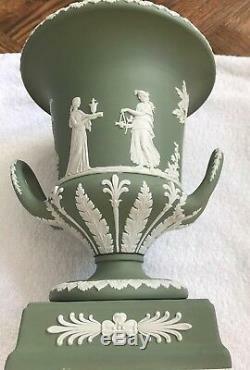 The urn has handles on the side. 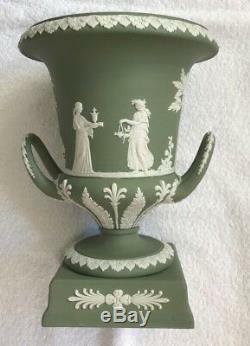 It stands 31cms tall (12 inches) including lid. 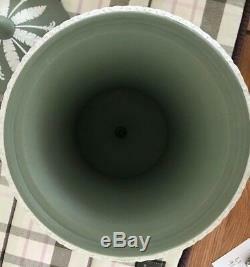 The width at the top without lid is 17cms (8inches). The width including handles is 16cms (6.5inches). 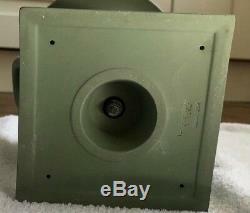 The plinth is 11cms (4.5inches) square and 3.5cms(1.5inches) high. 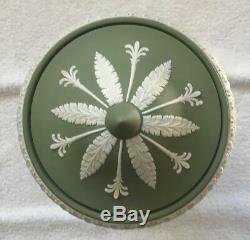 It is in mint condition with all the white work is intact. Fully stamped on the bottom. Please check out the pictures carefully as these form part of the description. No chips cracks or crazing. Cant tell you what a gorgeous piece this is. A wonderful edition to anyones collection. 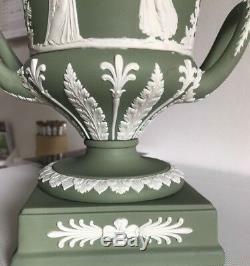 The item "VERY RARE LARGE WEDGWOOD JASPERWARE CAMPANA URN WITH LID SAGE GREEN PERFECT" is in sale since Sunday, February 3, 2019. 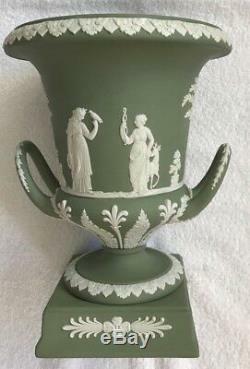 This item is in the category "Pottery, Porcelain & Glass\Pottery\Wedgwood". The seller is "bestmatebrownie" and is located in Saltburn-by-the-Sea. This item can be shipped to United Kingdom.